If you want to up your running game, one of the common strategies is to use a weight vest. A weight vest is basically a vest that is made from the heavy material or has pockets that you can fill up with sand bags and other weighted objects. The reason why athletes wear weight vest is to add to their body weight in order to get a more intense workout. With a weight vest on, exercises such as walking and running become more challenging. The reason for the effectiveness of the weight vest lies in its adding to your weight and forcing your body to work harder during the workout. Benefits of using the vest include better strength, endurance, agility and speed. How can running with a weight vest help you? How can you get used to using a weight vest? Read on to learn the answer to these questions. Weight vests are commonly designed to have weights ranging from 20, 40, 60 and even up to 100 pounds. Generally speaking, heavy weighted vests are designed for those who are advanced in their training and the lighter vests are for females and beginners. Before you decide to use a weight vest, you need to make sure that you already have above average fitness in order to avoid injuries. If you want to be able to control the weight in your vest, an adjustable weight vest is the best option. These vests have removable weights and allow the user to help you slowly gain control of your workout. When selecting a weight vest for running, it is recommended that you choose something not too heavy since too much weight may move about while you run. Depending on which area of your upper body you want to focus on, some vests focus on the upper chest while others focus on the torso. The weight vests come in different shapes that target different parts of your body. For example, if the vest is worn on the upper chest, the focus is on the back. Take time to select the best vest and make sure the weight is evenly distributed in order to avoid injuries. The second step if you want to start running with a weight vest is to focus on all the benefits you will gain by using a weight vest. As we mentioned earlier, weight vests work by intensifying your workout by adding resistance which promotes muscle growth and strength. According to one study published in 2012 (2) wearing a weight vest during daily activities improved agility slightly. The vest, however, did not help increase speed. It was concluded that using the vest during regular training half of the time for up to four weeks could gain an increase in agility. In addition, if you run four times a week, wearing a vest that is 5-10% of your body weight is said to improve your agility during sports such as basketball. Another benefit that comes with using weight vests is a boost in body strength. One study cited in the Journal of Applied Physiology examined how weight vests affected the strength of those athletes who already had high levels of performance. After strength training of three days a week for ten weeks, the leg strength had an increase of 30%. In addition, endurance during running and cycling increased by about 13%. (4) Having increased strength as a runner means you will be able to run for longer. Since weight vests can help you gain muscle, improve your strength and agility and overall performance, they can also greatly affect your weight loss. Being able to do more than you used to also means being able to burn more calories than you normally do. Underestimate the power of a weight vest. They may look like simple outer garments but come with much power. Using weight vests is like using any other fitness tool. You need to understand what you are using and train yourself properly. Since they are easy to wear, many underestimate them and this results in injuries so don’t’ make the same mistake. If you are planning to use the vest in your running, remember to select the best vest, learn the benefits and take precautions. For beginners, always remember that weight vests are not just there to try and make your workout harder but require a level of mastery to be effective. Only with a well-organized program will you benefit from running with a weight vest. The fact is weight vests can be amazing tools if you add the right load and place them in the right areas. ​Did you enjoy this article? 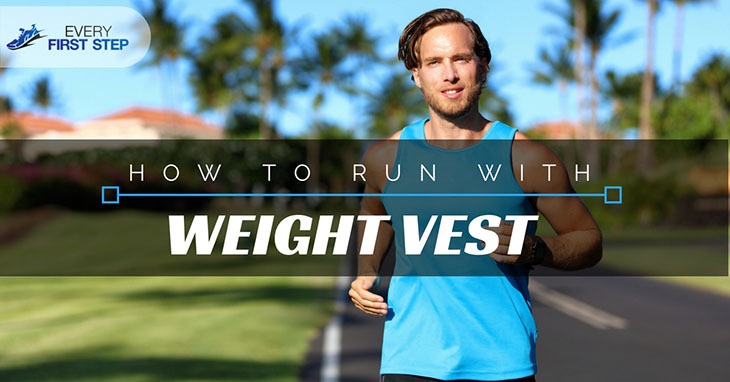 Have you tried running with weight vests? How was your experience? We’d love to hear your thoughts in the comments below. Also, feel free to share this article with any friends who are thinking of using a weight vest for running.